The highway in Haa starts from Jyenkana in Samar Gewog and passes through Tegola peak. 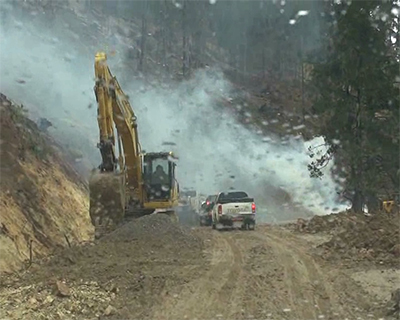 After a stretch of 65 kilometres, the road reaches Khamena where clearing works are going on. From Khamena the road will be built towards Sangbeykha Dungkhag. The connecting point will be at the Sangbaykha Dungkhag. 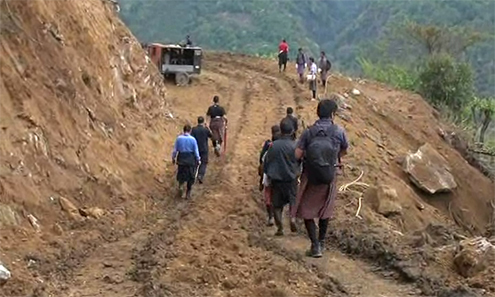 Works and human settlement’s secretary, Dasho Sonam Tenzin said the highway will also connect Gakiling and Sombaykha Gewogs in Haa. The secondary national highway is estimated to cost around Nu1.9 B. The secondary national highway is expected to be completed by 2018.